The terrorist outfit looks to be playing a long game. On September 3, Ayman al Zawahiri, the leader of al-Qaeda Central (AQC) announced the establishment of a new branch: al-Qaeda in the Indian Subcontinent (AQIS). Zawahiri, often described as “long on words and short on charm” delivered a characteristically ambling and inchoate message. He explained how the new group was the “blessed result” of a two-year effort to consolidate various Al-Qaeda affiliates in Pakistan, Afghanistan, Baluchistan and India into one organization with the (ostensible) purposes of serving embattled Muslims in the region by establishing sharia law and “freeing the occupied land of Muslims.” The Indian states of Kashmir (the site of a six decade long secession struggle), Gujarat (where an infamous pogrom against Muslims occurred in 2002), and Assam (a state where Muslims are persecuted for allegedly being parasitic Bangladeshi immigrants), along with Burma and Bangladesh, are mentioned as loci for potential operations. Analysts are portraying this administrative re-shuffling as a desperate response to the existential challenge posed to AQC by the upstart ISIS, whose seizure of Northwestern Iraq and swaths of Eastern Syria has seemingly rendered al-Qaeda impotent and irrelevant in the eyes of many potential recruits (especially valuable Western ones) along with formerly dependable donors. Most of these analysts were underwhelmed by the prospect of a branch of al-Qaeda in India; in a representative statement, Peter Bergen deemed the idea of AQC opening a branch in India as “just crazy” given the previous inability of al-Qaeda to establish a presence in the country. Certainly, the likelihood of AQC attracting a meaningful following from India’s Muslims because of this move is low. Muslims only account for 13.4 percent of India’s population, so even if al-Qaeda wanted to establish a (counter)caliphate there, it would simply not be feasible. Also, the pan-Islamist ideology of al-Qaeda is unlikely to gain much traction in light of the hostile sentiments that most Indians, including the country’s Muslim population, generally harbor towards Pakistan, its neighboring Islamic state. Instead, India’s Muslim population is preoccupied with extremely particularized struggles: Kashmiris are concerned with wrangling independence or greater autonomy, while the Assamese are focused on fighting discrimination and persecution within the framework of the existing state. Spectacular 9/11 style attacks are (or should be) off the table because they would likely stoke reprisal attacks against India’s minority Muslim community – fomenting indigenous blowback/hostility against al-Qaeda rather than helping to net more recruits. Moreover, even if AQIS could magically conjure the 31,000 fighters ISIS has managed to wrangle (tellingly, only four are confirmed to have come from India), it would still fall short of being the largest security threat the government has faced in the last two decades: India struggled with a bloody separatist insurgency in Kashmir and is currently managing a Maoist Naxalite insurgency throughout Central India. The state is very experienced in dealing with rebellions. In short, al-Qaeda does not pose a meaningful threat to India and is unlikely to blossom there. So why would Ayman al-Zawahiri, an extremely intelligent and careful man who was more instrumental in the planning of 9/11 than Bin Laden himself, and managed to survive almost 50 years of serving in Islamist terrorist organizations notorious for their attrition rates, come out after two years of media silence to announce such an apparently quixotic bid? Because AQIS isn’t about India – it’s about preserving al-Qaeda’s safe havens in Pakistan and Afghanistan. AQC faces pressure on multiple fronts on its home turf: ISIS is actively recruiting in Peshawar and ISIS flags are flying at anti-Indian rallies in Indian Kashmir. This encroachment cannot be allowed to pass without at least a token reply. More seriously, the Pakistani Army recently undertook an invasion of Northern Waziristan, home of the Pakistani Taliban, which provides shelter and support to AQC. Thus, the announcement of AQIS was largely directed at the Pakistani government. The new branch comprises a variety of terrorist groups, many of which either have extensive experience carrying out terrorist attacks within Pakistan, and/or have cordial relationships with elements of the Pakistani government because of their potential for use as proxies against India (of course, since this is Pakistan, there’s an almost laughable overlap between the two). Thus, al-Qaeda may be signaling they can be a strategic asset for elements within the Inter-Services Intelligence and defense establishment in exchange for some breathing room. Husain Haqqani, former Pakistani Ambassador to the U.S. doesn’t believe that this “play…will get much traction,” but AQC has more coercive options at its disposal. For instance, AQC could direct its AQIS affiliates to launch attacks against Pakistan in the event that the government gets too aggressive. This would be particularly unwelcome given the turbulence caused by the recent protests (ostensibly) over electoral fraud. This campaign may have begun: In early September, AQIS operatives almost managed to hijack a Pakistani frigate in Karachi, which was scheduled to depart on a joint-patrol with American frigates in the Indian Ocean. Once it got near to the American ships, AQIS planned to turn the frigate’s weapons system against the Americans, which could have sparked a major naval engagement against American and Pakistani ships. Alternatively, al-Qaeda could ratchet up tensions in Kashmir, and by extension, between India and Pakistan. Through its recent acquisitions, AQC now “owns” Asim Umar – possibly the single most significant asset gained in forming AQIS. While he has little operational experience, Umar is renowned for his intellect and oratorical abilities – al-Qaeda’s Barack Obama, if you will – and the organization has largely lacked a charismatic voice since the 2011 death of Anwar al-Awlaki. But more significantly, according to a militant source interviewed by Reuters, Umar “has strong links [in Kashmir] and can deliver there” because he was in charge of his former organization’s Kashmir branch. The recent floods that devastated Kashmir are stoking anger against the Indian government for its supposedly disinterested response, perhaps providing AQC with an opening. Discontent is simmering, and a series of attacks against Indian targets could spark serious unrest. This could easily bring Narendra Modi, the hawkish Prime Minster of India, into loggerheads with Pakistan’s Nawaz Sharif – who has likely abdicated Pakistan’s foreign/defense policy portfolio to the military after the latter helped salvage his regime from a violent protest movement that threatened to storm his home. If AQC managed to destabilize the situation further, the prospects for level-headed conflict management are not high. Finally, AQC is signaling its fealty to the Afghan Taliban – its original patron. 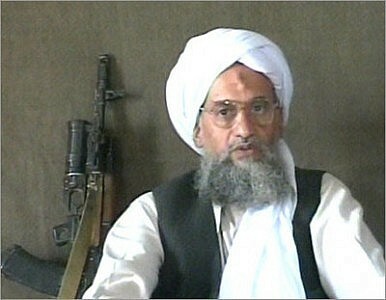 In his statement, al-Zawahiri notes that AQIS will report to Mullah Omar, the Afghan Taliban’s august spiritual leader. If Mullah Omar ends up exerting significant influence over AQIS, al-Qaeda could use Afghanistan to fight against “the near enemy” by supporting the Taliban’s efforts to carve out an Islamic state after the eventual withdrawal of U.S. forces in exchange for the provision of safe-havens. So while many analysts may view the establishment of AQIS as an ill-fated reactionary maneuver in response to the ascendency of ISIS, it may be better to think of it as AQC digging in for the long haul in South and Central Asia. While its immediate dividends may be low, AQIS may prove to be a crucial component in ensuring AQC’s long-term viability, indicating al-Qaeda’s possible intention to consolidate in the peripheral areas of the Greater Middle East (North Africa, South & Central Asia) while it waits for the ISIS phenomenon to run its course rather than attempting to challenge the upstart head on. In short, proclamations about al-Qaeda’s irrelevance or imminent demise seem as premature today as they were at the outset of the Arab Spring. If there’s one thing al-Qaeda is good at it, it’s reinventing and reviving itself in response to changing circumstances. Counterterrorism experts would do well to take heed. Jordan Olmstead studies study Philosophy and Middle Eastern Studies at the University of Arizona. Is al-Qaeda Back in Afghanistan?